Any trip to Munich would be incomplete without a visit to bohemian Schwabing. Where numerous artists used to live and work, you will now find great shopping and cafe culture. After a busy morning exploring, reward yourself with brunch at one of these top 10 spots. Let’s admit it, no one can resist French baguettes and croissants. Although there are lots of bakeries in the city, you won’t find more authentic products and of such a high quality than those at Boulangerie Dompierre. Choose from warm loafs or delicious pastries and grab a coffee to recharge your batteries in the most enjoyable way. From the moment you enter Arts ‘n’ Boards you will be immersed in a warm, relaxed maritime atmosphere. With comfortable seats, unique decorations, an attentive staff, a brunch buffet with a surprising variety from savory treats to salads and desserts and a piano player playing jazz tunes, it’s no wonder this place has such a great reputation among locals. This cozy family-run café-restaurant is not to be missed, especially if you are a vegan or vegetarian. Try some treats out of the impressive selection of mouthwatering cakes, pies and pastries at Café Ignaz and serve yourself from the all-you-can-eat brunch buffet every weekend from 9am until 2pm to sample a bit of everything. Don’t miss the raspberry-soy cream pie and the lactose-free options. 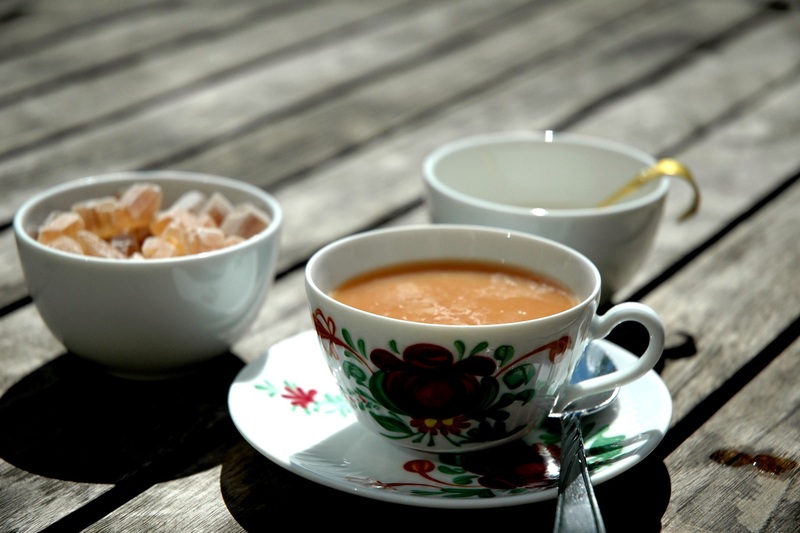 Relax in the living room feel of Friesische Teestube and enjoy a range of more than a hundred teas on the menu from India, China, Japan, Russia and of course Friesland. 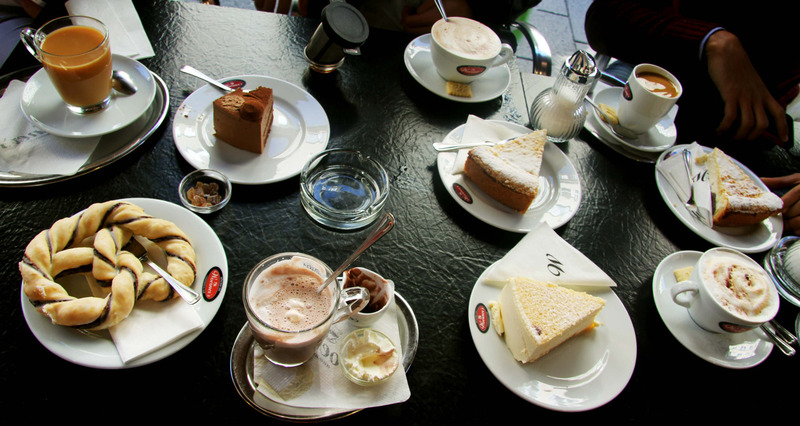 Accompany your drink with a freshly baked cake, waffle or sandwich, and if you are not a tea person, don’t worry; the coffee and other beverages are equally well made. This café is partly a lovely deli selling handmade food products and partly a small vintage café where you can relax with a drink and a snack. The super friendly staff only add to Das Gaumenspiel’s attractive ambience. If you like antique furniture and decorations, spend some time in Café Königin 43, beloved not only due to its proximity to the English Gardens but also thanks to the tasty coffee, fresh juices, homemade snacks and refreshing salads which will not disappoint. Get your superfood fix at Daddy Longlegs, known for the use of the açaí berry, native to South America’s rain forests and high in antioxidants. Even though the açaí bowls with a selection of toppings are the specialty, the homemade cakes, muffins and savory treats are equally delicious. Frequented by people of all ages, and named after the character in Shakespeare’s A Midsummer Night’s Dream, Puck is a laid-back café with classic décor mostly known for its American brunches, plus German and international delights, creamy hot chocolates and strong coffee. At first you’ll be amazed by the incredible cake display, and then you’ll realize Occam Deli has much more to offer. Renowned for its pastrami sandwich, this New York-style deli also serves exciting combinations of American, Jewish, French, Asian and Italian dishes which will certainly make you want to return. Green Box is the place to find a wide range of fresh fruit juices, as well as a salad bar and a general menu of healthy snacks to choose from. Sit in one of the super comfortable armchairs and make a morning of it, or perch on a stool if you are in a hurry and enjoy.